Julian Osborne has a Master in Political Science. He worked in a range of different companies across the financial service industry over the last four years, with experiences in developing banking and microfinance in Kyrgyzstan and Georgia. 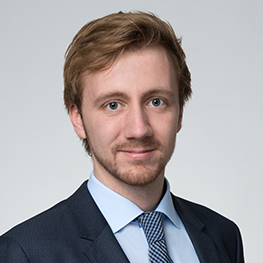 Since 2016 Julian has been engaged with Fintechs through his involvement at the Swiss Finance + Technology Association. Currently, he is supporting several early-stage startups in their go-to-market/marketing strategy and BD.